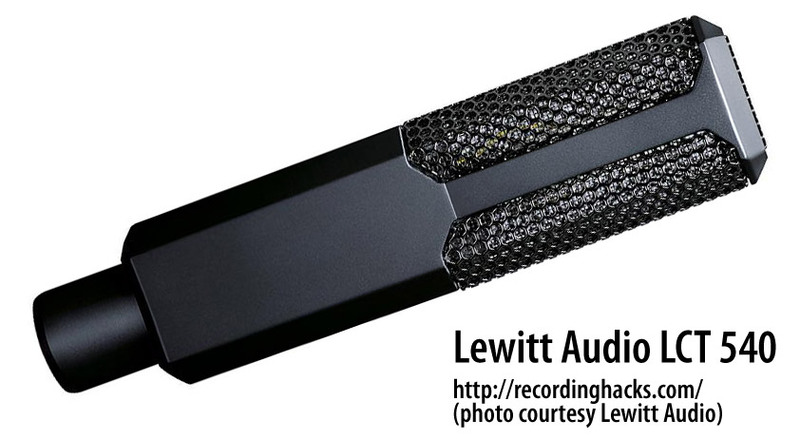 The Lewitt Audio Authentica LCT 540 is large-diaphragm FET condenser microphone with a fixed cardioid pickup pattern. 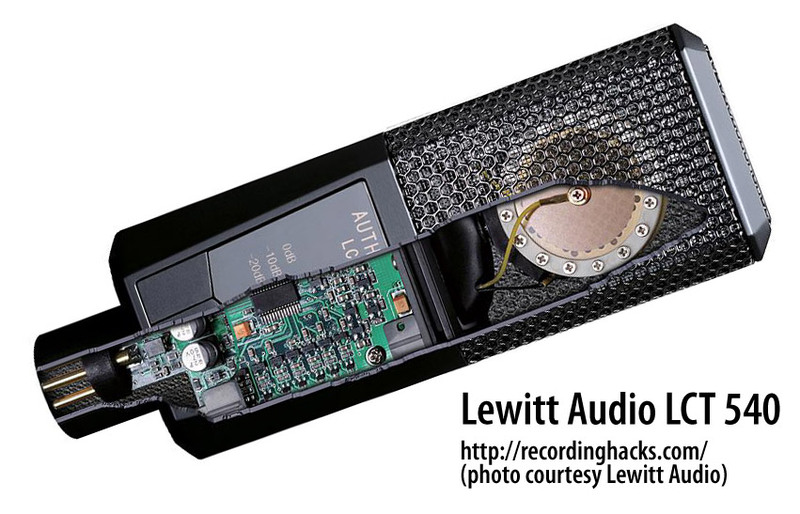 It shares a body design and much of its feature set with Lewitt’s LCT 640, a multipattern mic with additional pad and filter options. The capsule in the LCT 540 and LCT 640 is a large-diaphragm design whose backplate drilling pattern closely resembles the Neumann K67. 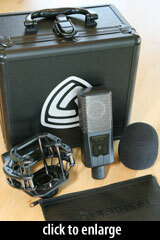 Both mics employ 4-micron, gold-sputtered Mylar membranes measuring 25.4mm within a capsule whose diameter is 33mm. The fixed-cardioid LCT 540 uses a “dummy” rear membrane of blank Mylar. Two pushbutton switches on the body of the microphone provide a 3-way pad (0dB, -10dB, -20dB) and a 3-way high-pass filter (-12dB/octave @ 40Hz, -6dB/octave @ 300Hz, or flat). The pushbutton switches operate silently. The current pad and filter selection are indicated by LED backlighting, behind the faceplate. 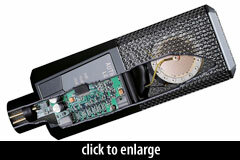 The mic’s PCB employs surface-mount components. The transformerless amplifier circuit is very low-noise, rated at 8dBA. 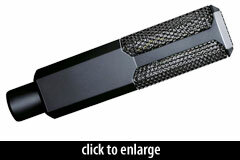 Note that the multipattern version of this mic, the LCT 640, has slightly lower noise (7dBA). The unusually open mesh grille is made of “ruthenium-galvanized” steel, backed by a fine-gauge screen. The LCT 540 is packaged identically to the multipattern LCT 640 (pictured at right); both ship with a shockmount (Lewitt p/n LCT 40 SHx), foam windscreen (p/n LCT 40 Wx), leather storage pouch (p/n DTP 40 Lb), and a foam-lined black aluminum flightcase. 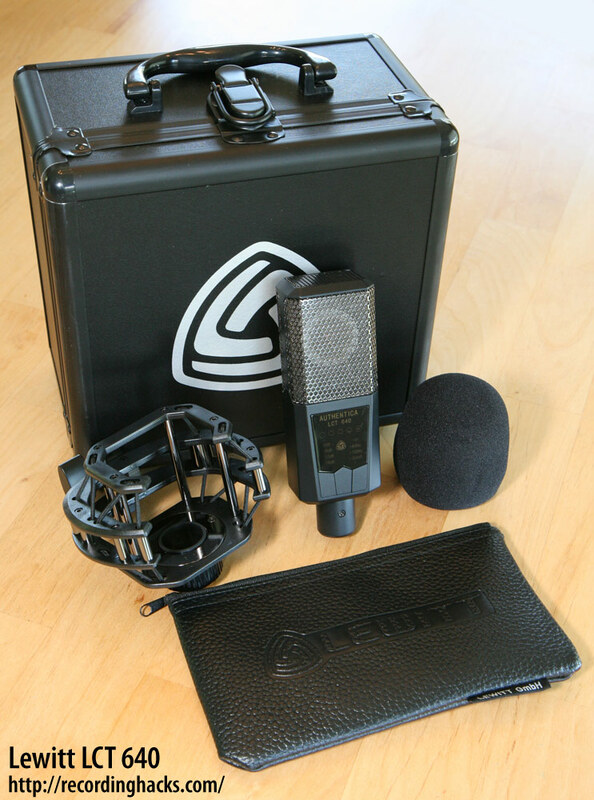 the LCT-550 is an improved/upgraded Cardioid mic, with a modified capsule, 0dB self-noise electronics (3dB self-noise from the capsule). the LCT-450 is a lower-cost 540, with the same capsule and circuit as the 540, but built into a smaller body, with fewer switchable features.